If you’re as passionate about beautiful sprawling walls of tile as we are here at Expert Resurfacing, you’re probably searching eagerly for the latest tile trends of 2018 to be released. We’ve collected our top favorites so that you can have options for your upcoming tile resurfacing project in Virginia Beach. When you’re preparing and doing your research for all of the surfaces you can easily and inexpensively update with refinishing turn to Expert Resurfacing, Inc. We’ll keep you advised on the top trends so that your tile or bathroom as a whole never feels boring. The thing about trends— as the 70s and 80s can attest to — is there’s always a danger of that trend seeming terribly tacky in ten years time. With these beautiful trends, we’re confident that they will remain classic and still achieve the style you were trying for all that time ago. 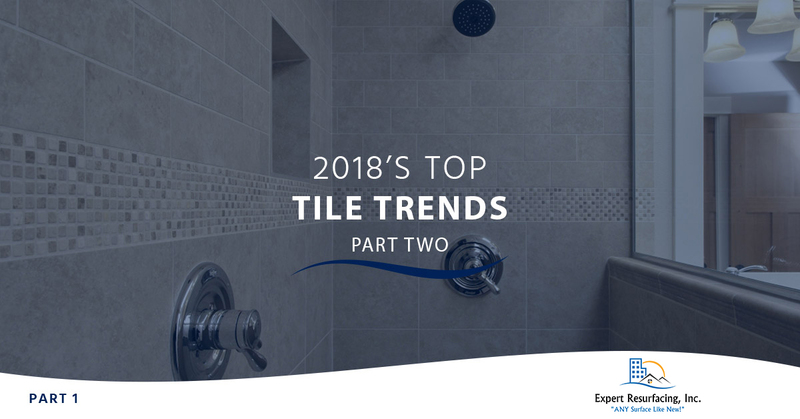 While our previous blog consisted of riskier options, this tile trends piece will focus on the chic and timeless trends that are arising on Pinterest and in all the new and fashionable hotels. They’re glazed, colored and fixed with a base of terra-cotta, plus they’re gorgeous. Their origins can be traced back to Morocco and they provide a luster and shimmer that seems distinctly organic when you glimpse them. They make great additions to a high-contrast bathroom and their rough cut fit can balance the chic nearly harsh lines of any space easily or enhance a Mediterranean level of rustic with ease. There’s a variety of colors, so you won’t be hard-pressed to find the right palette for your space. The best part about this trend is you can do it with any color tile and achieve that same aesthetic without disrupting the feeling you’ve already established in your bathroom. This tile style appears mainly in fairly bright colors but can also look amazing and simplistic in beautiful rich neutral tones as well. The simplistic grid design that looks like graph paper but so much better seems non-traditionalist at first but the exaggerated angles are a stay hold in many design elements that have managed to survive the test of time, which leads us to believe this tile design will as well. If you’ve stayed in a brand new Hilton lately or maybe a classic San Francisco hotel from the 1920s you’ve seen this tile style before. The penny round tiles have been a prevalent style option for a couple of years, but this year it’s very in vogue to get creative with the color of your penny round tiles. Beautiful soft shade pastels are the way to soften a bathroom and add the beautiful softened Victorian look to a bathroom that’ll make a smaller space open up beautifully. Re-envision Your Tile With Expert Resurfacing, Inc. If you’re ready for a revived look for your tile reach out to us. We specialize in careful, precise refinishing for your tile that easily brings new life and lets you access those beautiful 2018 trends that will add something to your bathroom or kitchen space that you’d never dreamed of before. Reach out to us when you’re ready to start your bathroom refinishing or kitchen refinishing project in Virginia Beach. 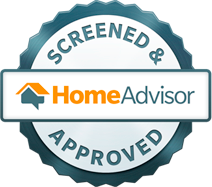 We’re excited to discuss your project with you.